I was feeling a little homesick, and while thinking about all the great things Seattle has to offer..Thai food popped into my mind. 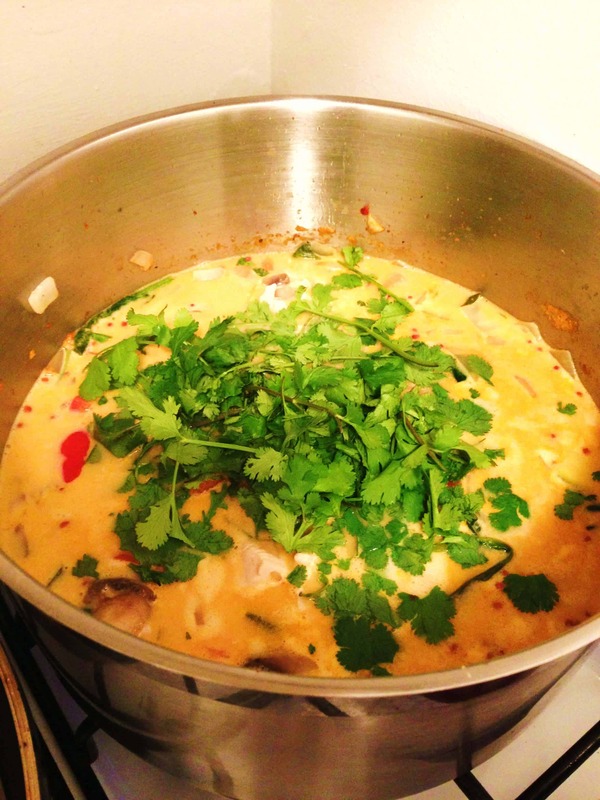 My favorite thai place in Queen Anne, Bahn Thai, makes the most delicious tom kha gai soup! As I reminisced about all the meals I’ve had there with my family, I decided that it was high time I made my own coconut curry soup. The recipe that I based my soup off of came from this blog, but I made some tweaks to this recipe. It definitely is different than traditional tom kha gai soup, with the rice and miscellaneous vegatables, but it just seemed so right to me to add these things into the soup when I was making it. ALSO, if you want that truly authentic, creamy taste, DON’T use light coconut milk. It does NOT taste the same. However, if you are watching your waistline or are trying to make a lighter version, use light coconut milk! It is like half the calories and has wayyy less fat. Chopped/sliced vegetables (ex. red pepper, onion, mushrooms, asparagus, etc. Hi. Not sure if I missed it or not, but I don’t see you mention anything about the chicken. Great recipe – I’m definitely going to try! So the chicken was already cooked when you put it in? I added coconut creamer instead of the canned version. Added some chia seeds. Added some pepper to taste. I used chicken stock instead of the water and udon noodles. Otherwise it cooked up great. 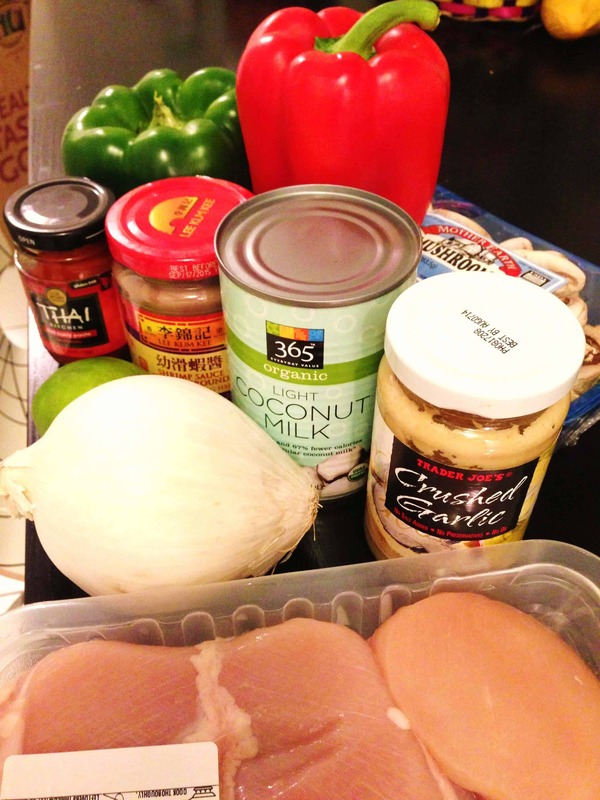 I am making now…definitely cooking my chicken first. Please reply….do you put the sliced chicken in RAW??? ?